PARKING: Parking nearest the trail head requires an $8 fee. Further back, the parking is free. Not that far of a walk, and it is very well marked. RESTROOMS: Available at the trail head, and the 3-mile point. 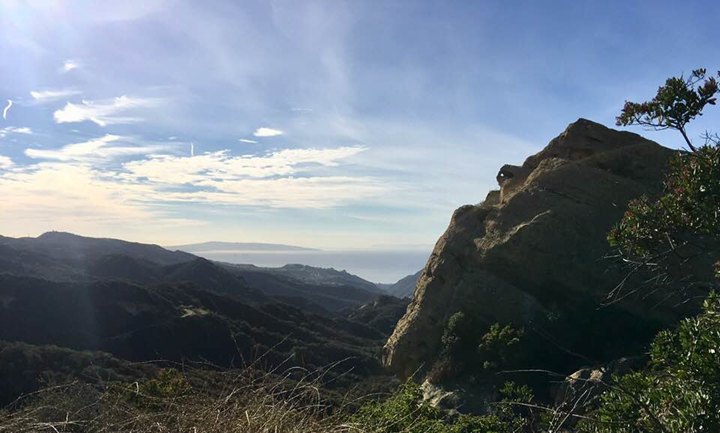 HIKE WALKTHROUGH: The hike starts with a short but steep ascent to a 1/2 mile stretch of Mulholland Drive that is closed to vehicles, as are all other dirt roads we’ll be hiking on. 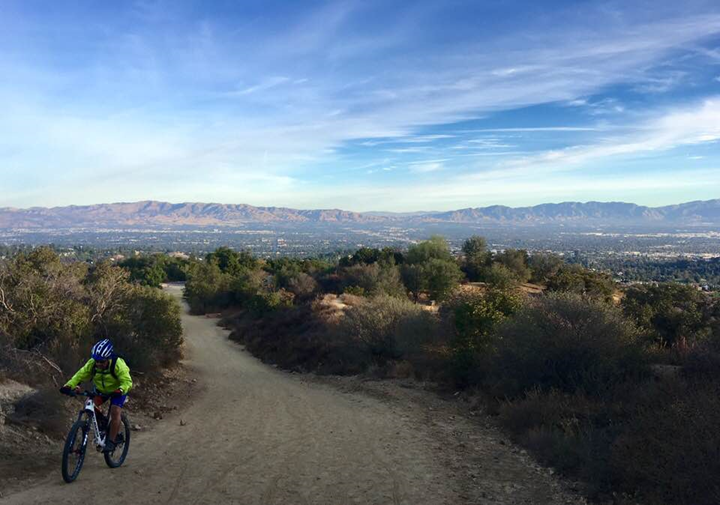 We’ll go east until Bent Arrow Trail, which will run for 1/2 mile along Rustic Canyon to Temescal Canyon Road, then follow that for 1 1/2 miles until we reach Hub Junction, a popular spot for cyclists with a restroom. Catherdral Rock is in the background. From there we’ll go west on East Topanga Fire Road with nice views of the mountains and valleys, coming to rest 1 mile later at Eagle Rock for an early lunch stop. (This is the same Eagle Rock that we’ve hiked to from Trippet Ranch). 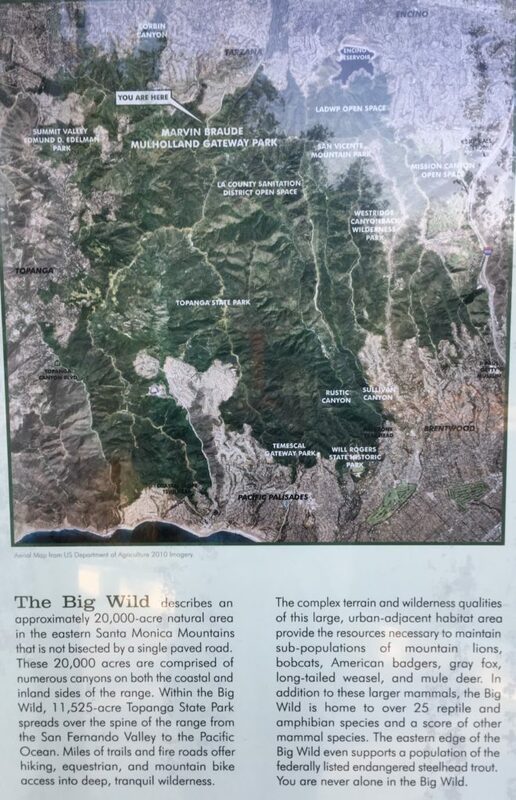 Heading back, we’ll follow the Garapito Canyon Trail for 3 miles through scrub oak, woods, grasses and streams until reconnecting with Temescal Canyon Road, which we’ll use for a 1 mile loop back to our early ascent area and the vehicles. REQUIREMENTS: WATER (at least 2 to 3 liters, or 3 to 4 20oz water bottles). Comfortable hiking/sports shoes with good grip. RECOMMENDED: Dress accordingly as it will get hot or cold out there. Bring a low beam LCD red/green/blue light to help you see. Restroom use is recommended prior to meeting time. DOG-FRIENDLY? : No, dogs are not allowed on this trail.